If you require immediate ITS attention to an emergency issue the best way to contact us is x7973 or 718-862-7973. All other inquiries should be sent to the its@manhattan.edu email. 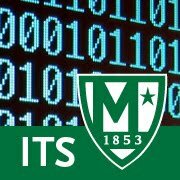 If you wish to contact an ITS employee directly, you can still use the its@manhattan.edu email and ask for the email to be routed to the appropriate person. Note that emails sent to its@manhattan.edu are viewable by ALL ITS employees. Please note that emailing ITS staff directly will generally yield the slowest response time. If there is sensitive information that should be shared only with a certain ITS employee, those emails should be sent directly to that ITS employee. As mentioned above, emails sent to its@manhattan.edu are viewable by ALL ITS employees.